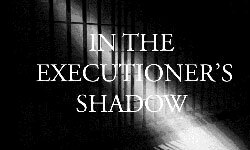 There is no dispute: the cost of the death penalty in Oregon far exceeds the cost of life without parole. Just as importantly, if the death penalty was replaced by life without parole the money currently spent on the death penalty could instead be spent on solving cold cases and funding victim’s services. The difference in cost between a death penalty and a non-death penalty murder case is startling. When the death penalty is an option, the costs increase astronomically. Although there has never been a definitive Oregon study on all costs associated with death penalty cases, death penalty defense costs are known because they are all billed to a single agency. Over the past four years there has been an average of 41.25 aggravated murder cases pending in Oregon. The Oregon Office of Defense Services pays lawyers between $50 and $97 per hour. In contrast, according to the 2012 Economic Study of the Oregon State Bar Association, the average hourly rate for attorneys privately defending less serious criminal cases is $214. The Oregonian on April 19, 2009, quoted Ingrid Swenson, (then) executive director of the state's Office of Public Defense Services, saying her office spent $213,232 per case for death penalty cases. Murder cases that did not involve the death penalty averaged $24,876 per case, or 12 percent of the cost of a death penalty case. Prosecutors also spend much more time on death penalty cases resulting in increased significant increased costs. At a Department of Justice (DOJ) Budget Presentation before the Public Safety Subcommittee of the Ways and Means Committee in the 2007 Legislative Session, representatives of DOJ state that the average amount of time allocated to complete a capital case was 4,577 hours at $128 per hour. For example, the projected attorney hours per case for 2007-2009 were 15.7 hrs, for a post-conviction trial of a non-capital case whereas the trial for a capital case was projected as 1,886.02 hours. At $128 per hour, the costs of a non- capital versus a capital trial were $2,009 versus $241,411. (1) According to the Oregon Office of Public Defense Services, in the past decade they have paid out $93,683,885.99 defending 97.5% of all aggravated murder cases. OADP Death Penalty Facts - What is the cost of the death penalty in Oregon?